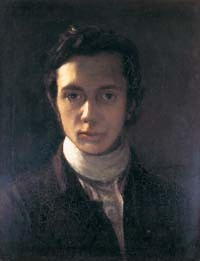 William Hazlitt was an English writer, remembered for his humanistic essays and literary criticism, and as a grammarian and philosopher. He is now considered one of the great critics and essayists of the English language, placed in the company of Samuel Johnson and George Orwell, but his work is currently little-read and mostly out of print. During his lifetime he befriended many people who are now part of the 19th-century literary canon, including Charles and Mary Lamb, Stendhal, Samuel Taylor Coleridge and William Wordsworth. “Books let us into their souls and lay open to us the secrets of our own."